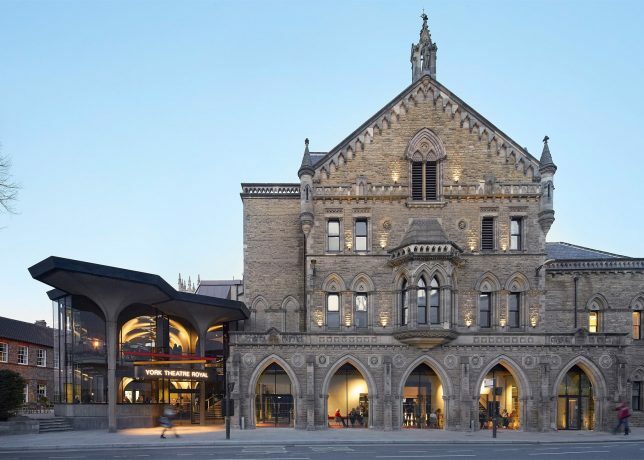 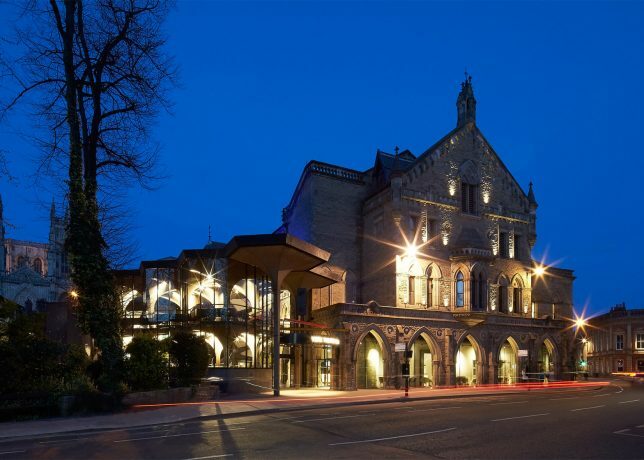 A historic theater in York, England got a concrete and glass extension way back in 1967 that still holds up today, offering one example of how modern additions can escape looking like a disparate mix of architectural eras jammed together into one building. 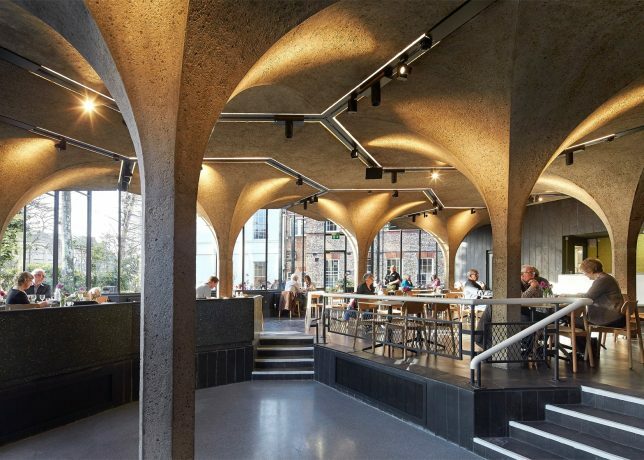 De Matos Ryan recently oversaw the modernization of the building and its extension by Patrick Gwynne, which aims to create a more engaging street presence for the theater. 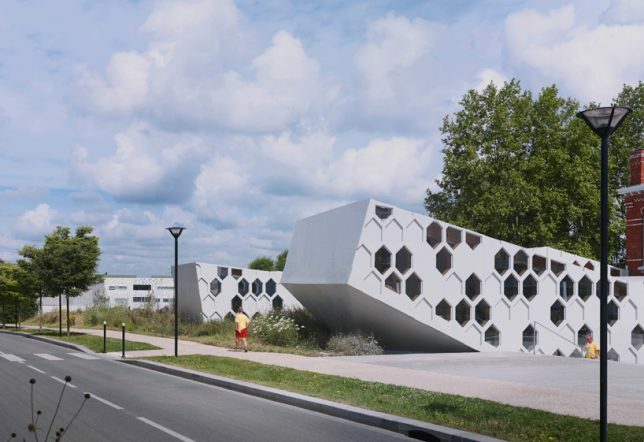 D’houndt + Bajart Architectes go in the other direction with La Mediatheque Andree Chedid in Northern France, adding two white volumes to the original brick building, which was once a textile factory. 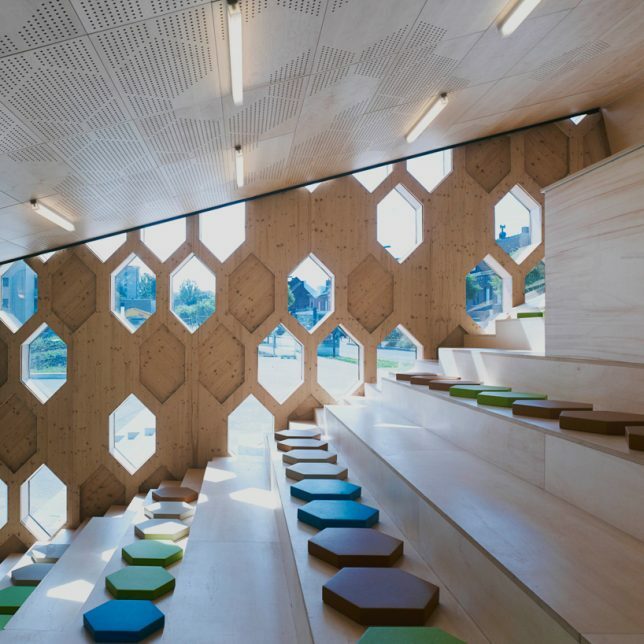 Perforated walls and ceilings in a honeycomb pattern filter light inside the new buildings, which contain a library and auditorium. 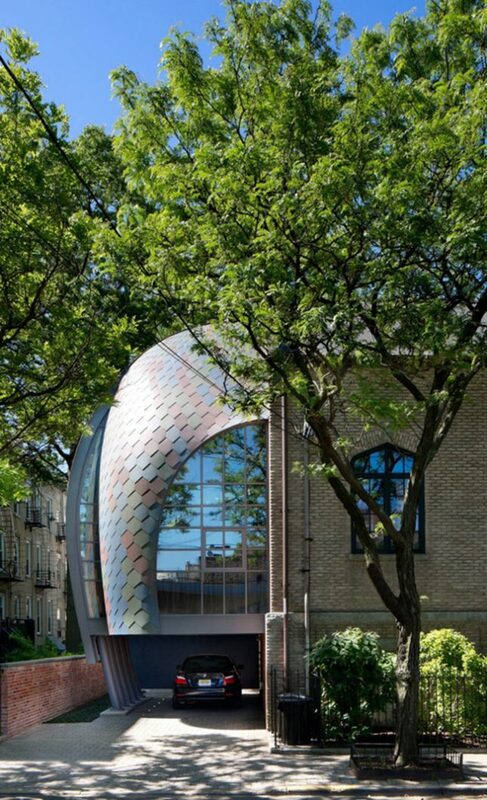 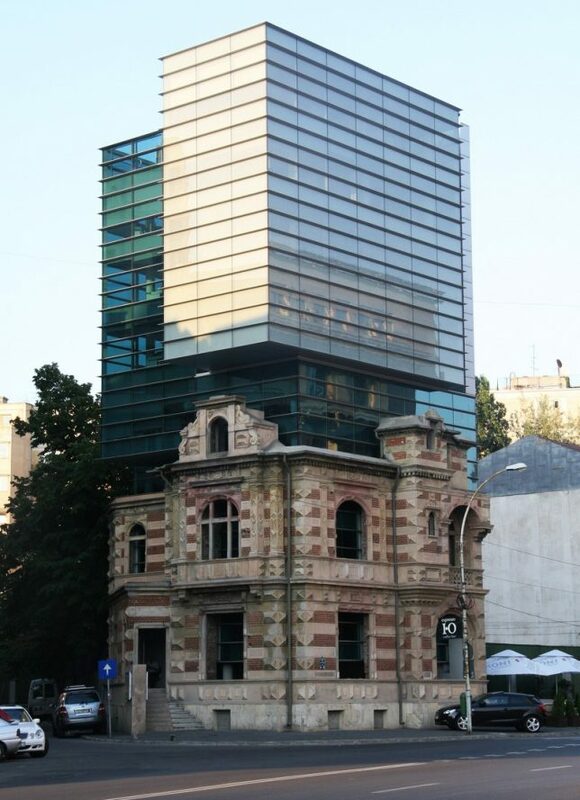 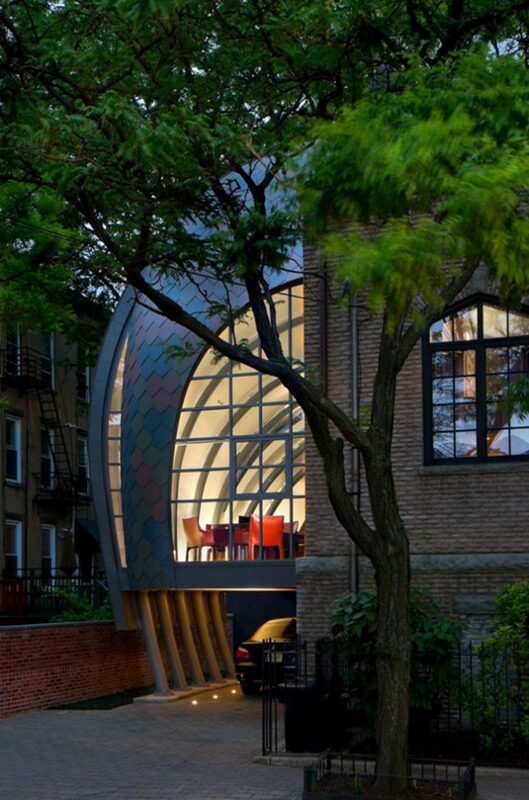 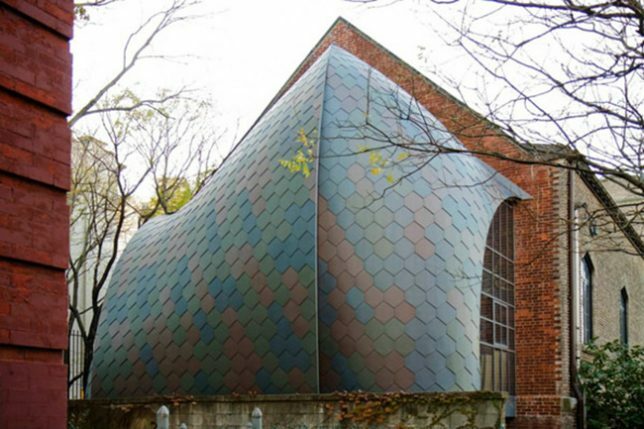 A historic church in Hoboken, New Jersey is now a work studio with the addition of a curving glass and steel structure covered in colorful hexagonal panels, almost seeming like something organic that grew out of the wall of the original building. 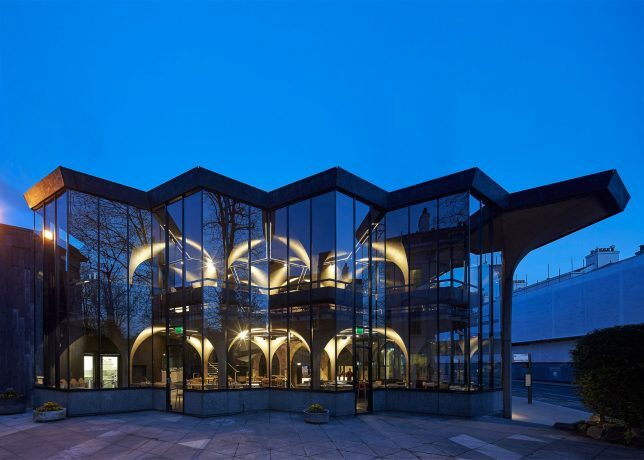 The large glass areas flood the interior with light, adding extra space to the church without significantly altering its form or tearing down any walls.